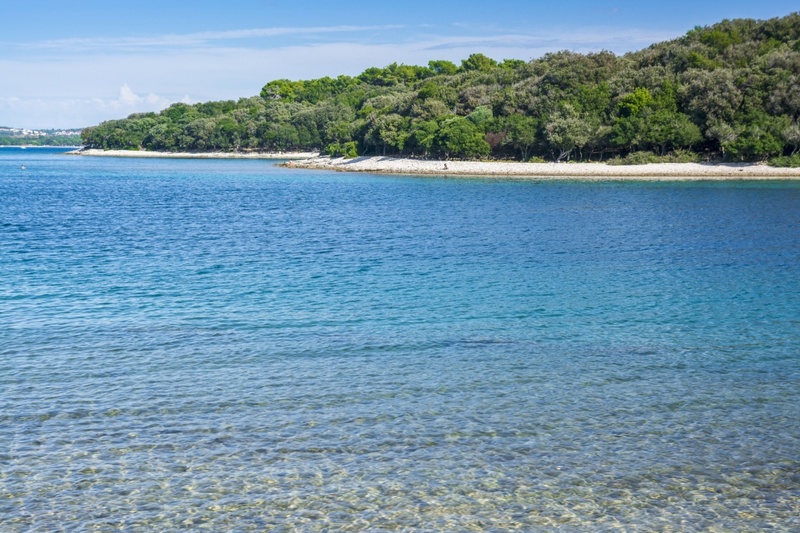 Brijuni archipelago is the only national park in Istria. Situated in front of the south-east shores of the peninsula, this beautiful group of 14 islands is a unique combination of natural wonders, cultural and historical heritage. 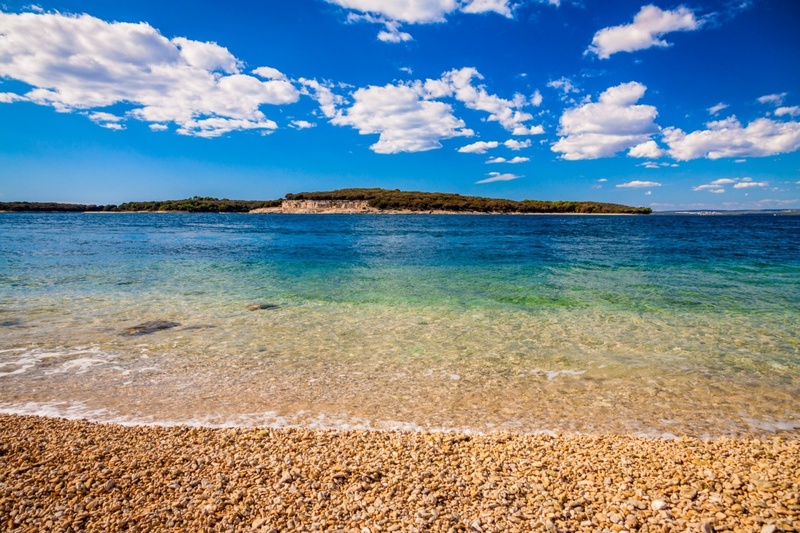 With its numerous archaeological localities, immense diversity of plant and animal species along with rich palette of tourist services; Brijuni provide a peaceful isolation in magical surrounding while still being fairly close to the tourist throng of the nearby Pula. Taking all the natural beauties and historical significance into account, it is no wonder Brijuni have often been referred to as the “paradise on Earth”. There is a legend saying that the Maker created Earth to the image of Heaven. The jealous devil tried to destroy his work by tearing the bag in which angels were carrying the unused stones. Angels gathered the scattered pieces of Heaven and protected them with the sea waves. That is how Brijuni islands were created. Brijuni are well known for their immense diversity of flora and fauna. There is over 700 plants and over 250 bird species living on the archipelago. There is a zoo, safari and ethno park on the biggest island of the group. There you can see animal species from all over the world (zebras, elephants, lamas), but also some indigenous Istrian species such as Boskarin cattle or the Istrian sheep. The island hosts a pheasant farm and natural bird reserve Saline. The best way to tour the island is by tourist train. Be sure to pay attention to the dinosaur footprints; there is over 200 of such marks scattered all over the island. Brijuni islands have always been considered one of the top elite destinations in Europe, where numerous statesmen and celebrities enjoyed their holidays. From Elizabeth Taylor to Angelina Jolie, the list is practically endless. Brijuni islands still continue to magically attract influential and famous people from all over the world. The best way to visit Brijuni is by boat sailing from Fazana on a regular basis. If you plan to simply take a short tour around the national park, the ticket prices can vary between 15 and 30 Euros depending on the season. But, if you wish to enjoy the peaceful and exotic beauty of the islands a little longer, you can seek accommodation in one of the local hotels or luxurious villas. Hotels Neptun and Karmen are situated in the main harbor of the big island, while private villas Lovorka, Primorka and Dubravka are a little further away, in the Lovorika Bay. Besides sightseeing and admiring the unseen beauty of the Brijuni archipelago, you can enjoy bathing in the crystal clear sea of its numerous and beautiful beaches. And if you prefer to take part in some other summer activities, Brijuni are offering a lot: from horseback riding, wind sailing, golfing and cycling to archery, diving and badminton. And after the sun sets, you can explore the delicacies of rich and playful Brijuni cuisine in one of the local restaurants such as Galija, Plaža or Karmen.